Lifting heavy weights can improve body composition because it causes muscle growth. More muscle means a higher metabolic rate which means more fat loss. Aerobic exercise is not efficient at burning fat. Convincing people of this is difficult. People believe that exercise is a calorie burning procedure and that the longer they exercise the more energy they will use. However, this is not true. In fact the longer people perform aerobic exercise the less fat they are likely to burn. This is because aerobic exercise decreases the likelihood of gaining muscle mass, and it is this muscle that burns fat and improves body composition. The trick to losing body fat is to increase the resting metabolic rate. The resting metabolic rate is in turn directly proportional to the amount of muscle you have. The more muscle you have, the more fat you burn at rest. Any exercise that increases muscle therefore causes fat loss. Aerobic exercise doesn’t do this because it only burns fat while exercising. It is therefore necessary to find exercises that build muscle, which means lifting heavy weights. Even if you can persuade dieters to abandon aerobic exercise and pick up some weights, it’s even harder to convince them to lift heavy weights. Most fail to grasp the fact that it's not the action of performing the lift that causes muscle growth, but the resistance you apply to the muscle. Lifting light weight multiple times is not better than aerobic exercise, because it is aerobic exercise. Lifting heavy weight for between 6 and 20 reps is where muscle gains are made. 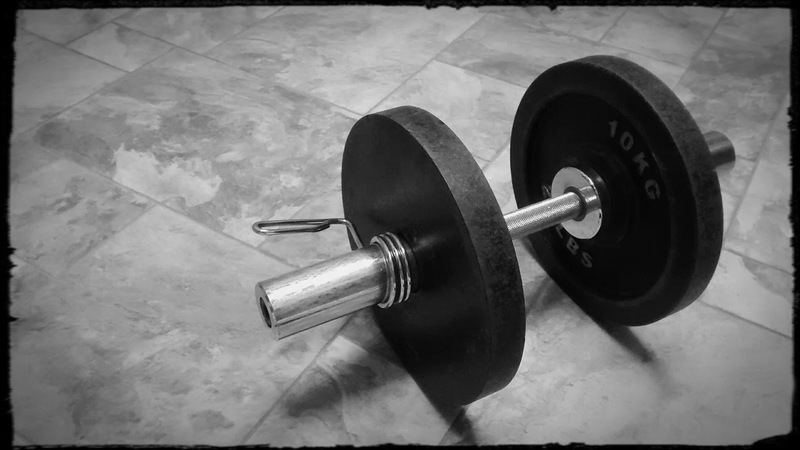 Barbell curls are a favourite exercise of gym goers. But to be honest, they are probably fairly useless in the grand scheme of things. Your biceps are tiny in comparison to the quadriceps muscle in your legs or the latissimus dorsi muscle in your back. To gain the most muscle in the least time, lifting heavy weights for a low number of repetitions with simple weightlifting movements is the way to go. If you avoid lifting heavy weights you are probably harming your fat loss efforts. Firstly, ‘muscley’ is not a word. The word is muscular. Secondly, if you don’t want to add muscle to your frame to lose weight you will never improve your body composition. Please don’t think that because you’re lifting heavy weights twice a week you will turn into a pro-bodybuilder, because you won’t. Building a muscular physique takes years of dedication, and often requires steroids. The muscle you gain from a few gym sessions a week will hardly be noticed visually. When you’ve finished lifting heavy weights you need sugar and protein. Your muscles will be primed ready to soak up nutrients like a sponge. It’s during this two hour window where you can eat the foods you would normally avoid. Sugary foods along with a high protein meal is necessary to stimulate protein synthesis and glycogen reformation. If you must eat chocolate or other sugary foods, do it in this two hour window guilt free.